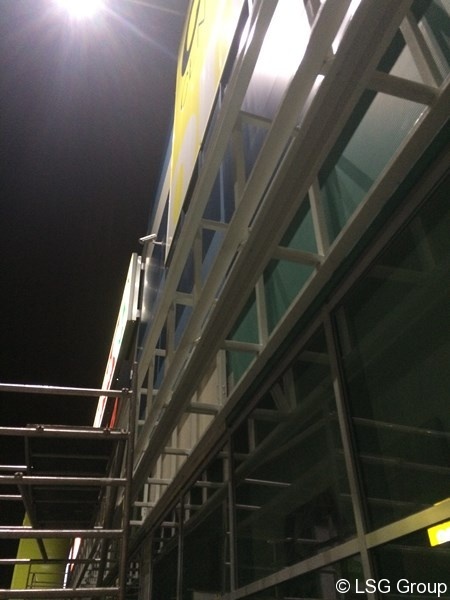 Phase 2 rebranding-a CCO West is completed, the work finished as planned. 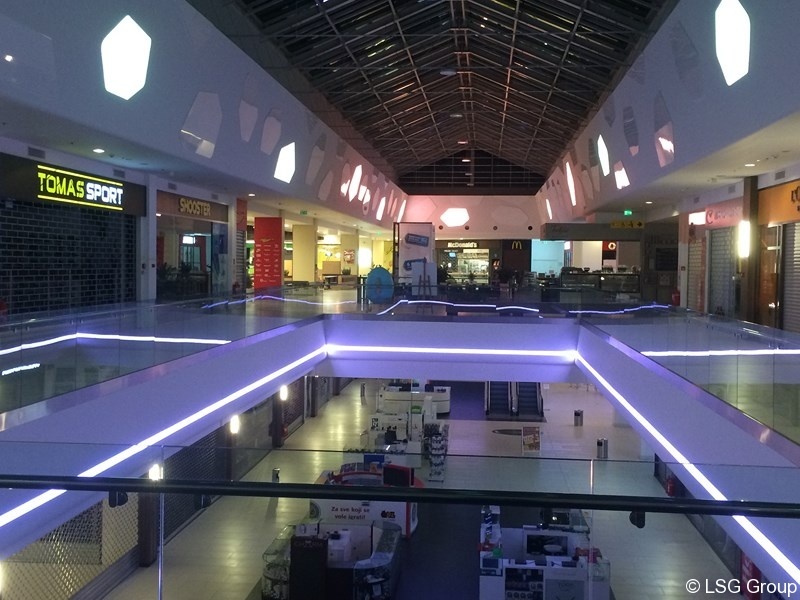 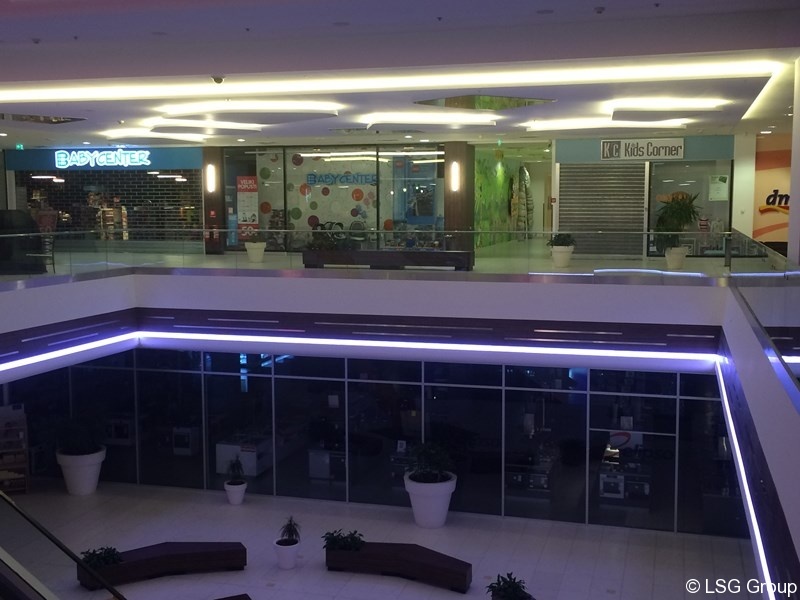 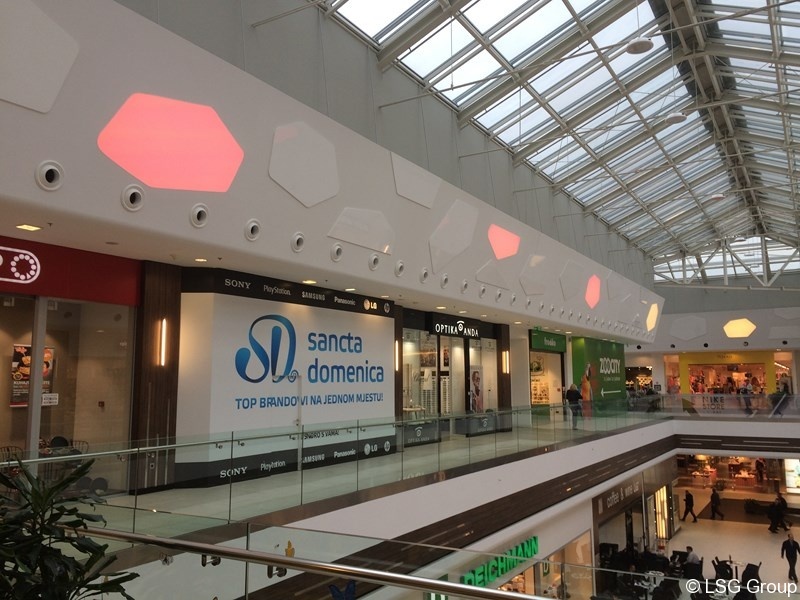 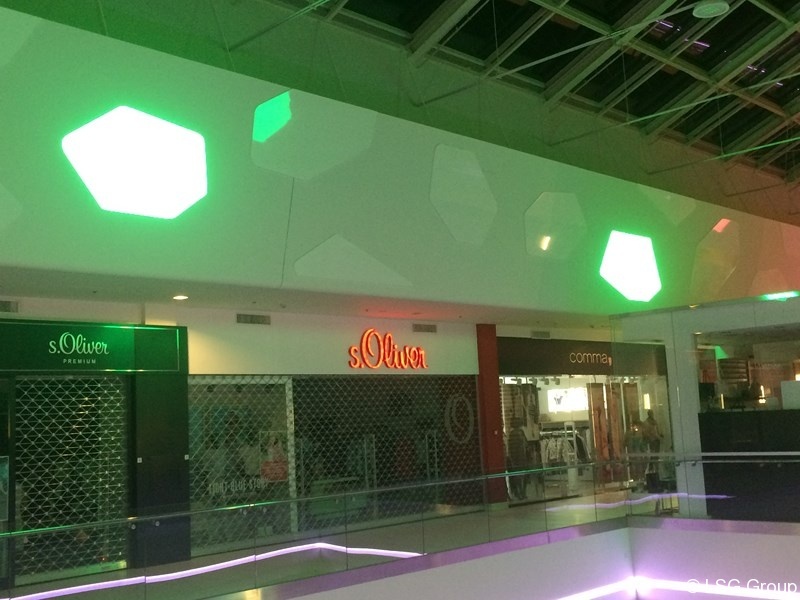 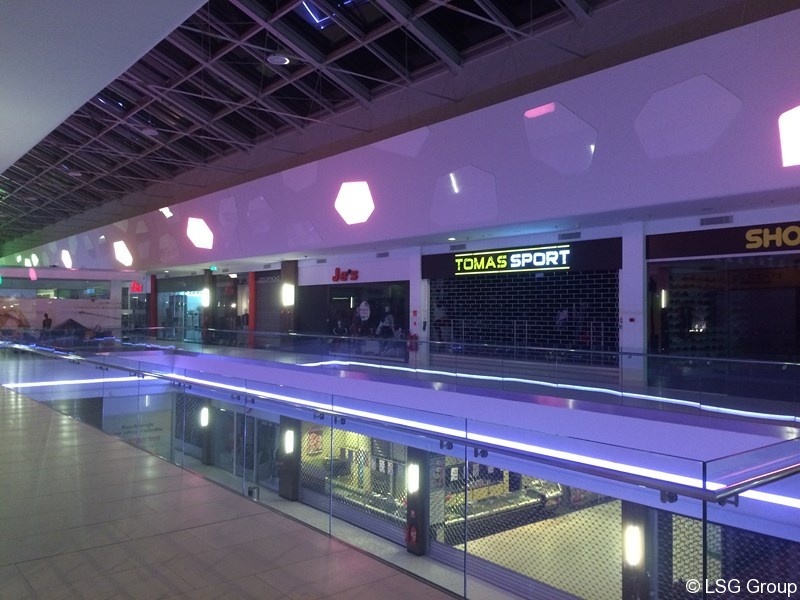 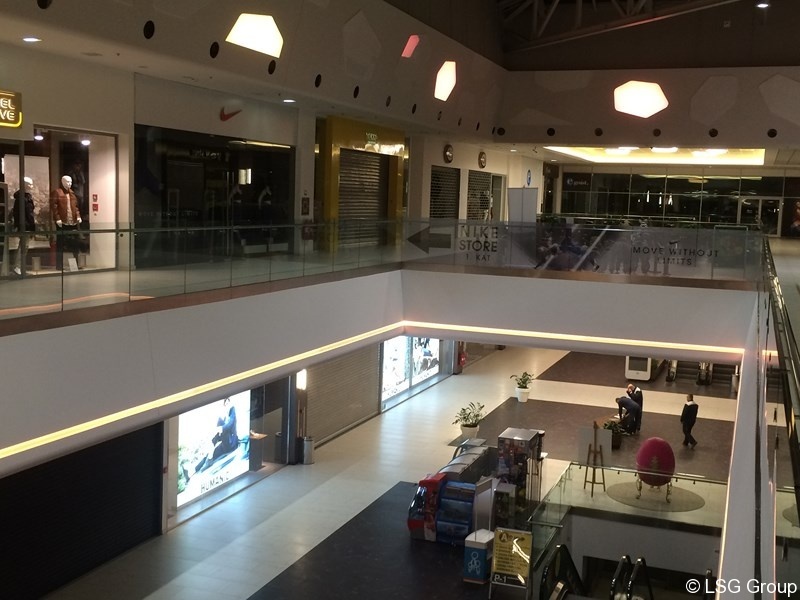 • Replacement of existing metal halogen pendant in the mall center with new LED pendant lights Disano Astro (saves electricity and better illumination). 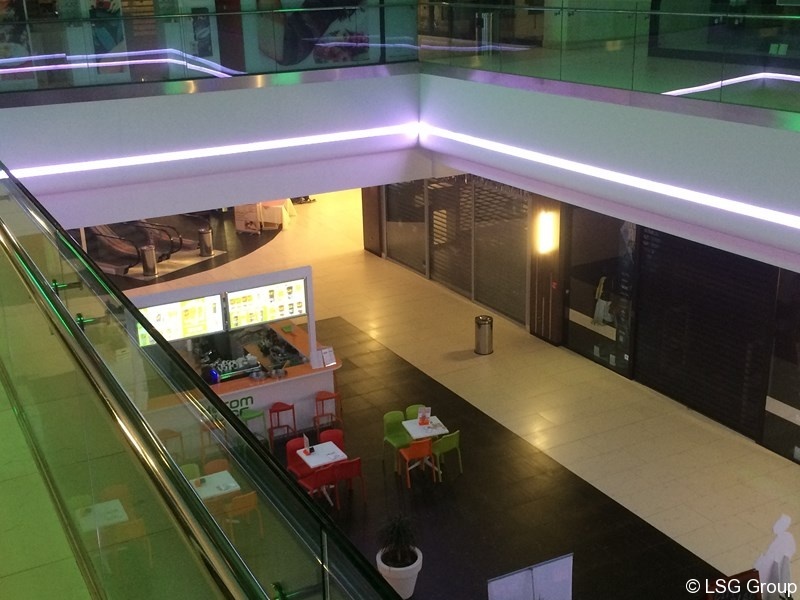 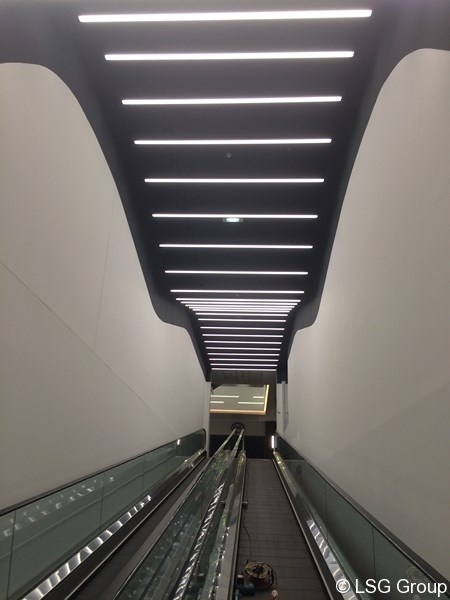 • The installation of decorative lighting, RGB LED linear indirect lighting in the space under the skylights. 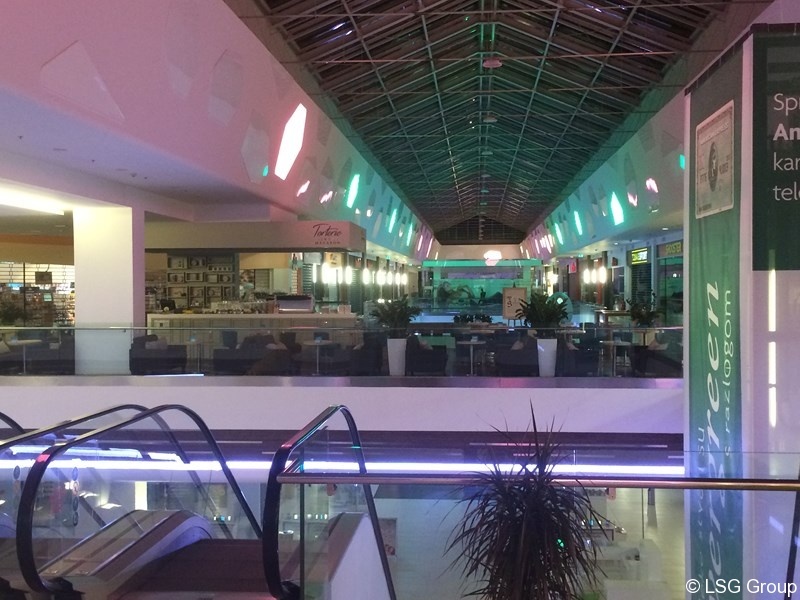 RGB lighting gave the “old” center a new “new splendor” that makes the visitors stay more comfortable and more enjoyable while shopping.